As a starting point for an architectural visualization project, a significant amount of artists still tries to import technical drawings to Blender. When you have a technical drawing like a floor plan to guide you with lengths any modeling task will become much more comfortable. In Blender 2.7x we have several options to import DXF files and when Blender 2.8x Beta came out a lot of people became worried if we would still have the option to import DXF files. 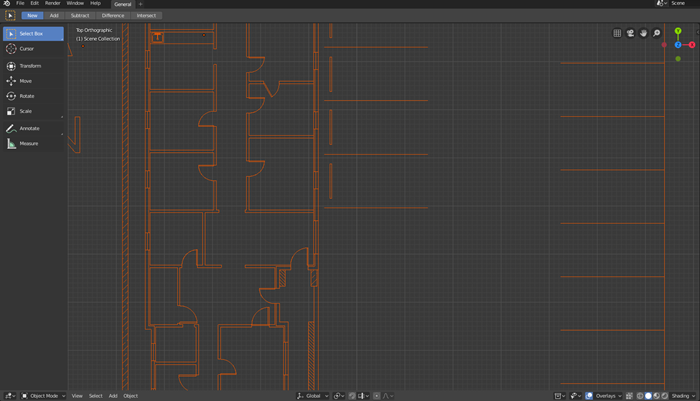 The good news is that you still can import DXF files to Blender 2.8x! 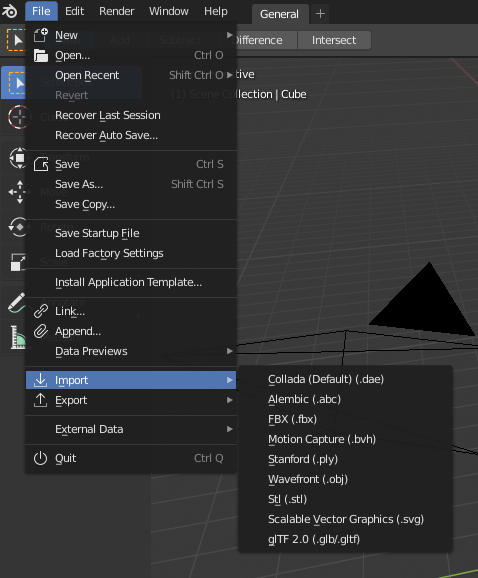 If you open Blender 2.8 to check all options related to importing files, you won't see any item to handle DXF. 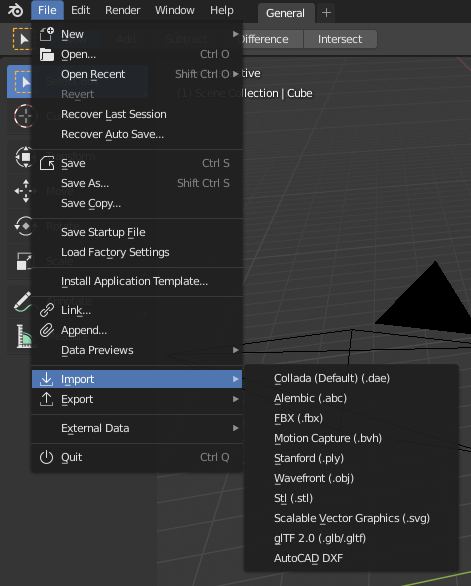 To import DXF files in Blender 2.8, you have to open the Add-on options in the Edit → Preferences menu. 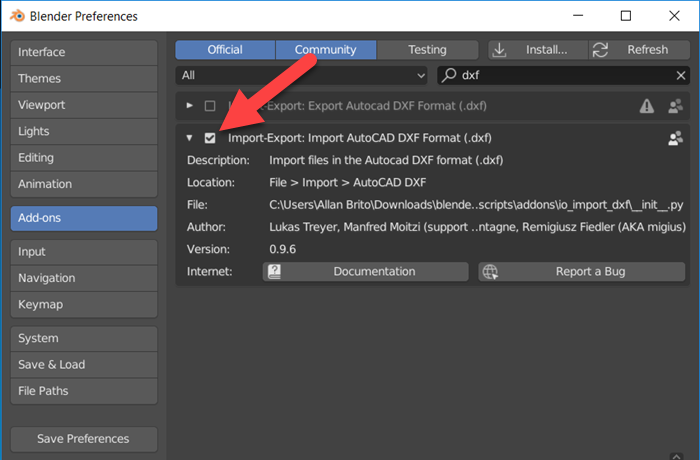 Go to Add-ons and type DXF in the search box and enable the AutoCAD DXF importer. Once you do that a new option to import DXF files will appear. By selecting a DXF file with a floor plan, you will be able to get the data in your 3D View to use as a reference for modeling. Can I import DWG files? Solution: Unfortunately you can’t import DWG files directly. You can convert them to DXF using this free resource. I got an error trying to import the DXF file. Solution: You probably have an unsupported version of the DXF.  Use this tool to convert the DXF file to an older version like 2012. The lengths of all my architectural elements are wrong! Solution: You will probably have to apply a scale factor to the drawing. Use the scale tool and set a factor that will proportionally get you the correct measurements. Using a technical drawing will make you create 3d models for architecture with incredible speed. If you want to get Blender to create your technical drawings, you can check our training about technical documentation for architecture with Blender. And to help you develop your ideas for interior design and layouts, I strongly recommend you to check the Residential Interior Design: A Guide to Planning Spaces.